Thank you for your interest in our YMCA. We have put a packet together to answer your basic questions about YMCA membership and facility usage. 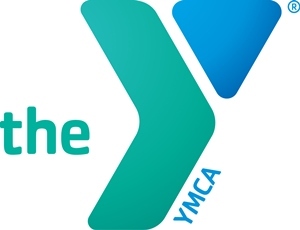 Click here to download the Henderson County Family YMCA Membership Information packet. You may come in during regular week hours or during the weekend to sign up at the Service Desk. - Expanded Fitness Center with additional fitness equipment for Cardio/Cybex Wts and Free Wts rooms. - Social and Recreation Center-MEMBERS only age 9- adult, under 9 with parent. No guest. Pool Tables, Air Hockey, Foosball, Pinball, Basketball, Football, Computers, Vending & Seating. - Teen & Adult Fitness Center- MEMBERS only age 14 thru Senior Citizen. 16 piece Cybex VR3 line + 11 piece 2nd Cybex line. Teen & Adult Free - Weight Area (age limit 14 and up) - spotters recommended. - Cardiovascular area (17 treadmills, 7 stair steppers, 6 stationary bikes, 7 cross trainers, 1 step mill and 2 Rowers, Nu-Steps and Ropes Machine. - Youth Gymnasium (ages 9-13 - under 9 with parent or adult) Staff monitor Nov-April /Closed April- Oct.
- Racquetball Court (free to members only) age 14 and older can make 1 week reservations. Min. age 9 to play with another adult. - Warm Water Therapy Pool (see schedule for hours and family swim times) Water temp 90-92 degrees max per Health Dept. - Free Zumba, RIPPED, Yoga, Pilates, Various other Land Aerobic Classes; Aqua Aerobic & Arthritis Classes-schedules in lobby. - Playing Fields, Picnic Pavilion - on a first come basis. No Golfing allowed. No animals allowed. - Workout Towel Service - please return towel at Service Desk upon leaving. - Male or Female Lockers, Treadmill, Cardio Equipment, Sauna, Television, Lounge, Restrooms, and Showers. Daily Guest Fees: Youth up to age 17 - $7.00; Adult - $10.00; & Senior Family - $12.00. No person will be denied access to YMCA general programs, facilities or membership because of the inability to pay fees. Financial assistance applications are available at the YMCA Service Desk and must be filled out completely and returned with required documentation to be processed by a YMCA professional.